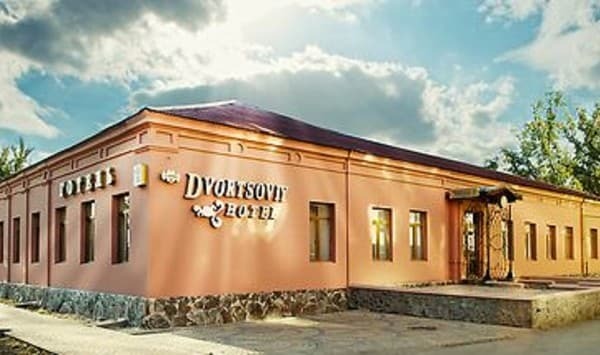 Hotel, Guest Yard "Dvortsovy" hospitably opens its doors to the guests of Kirovograd city. 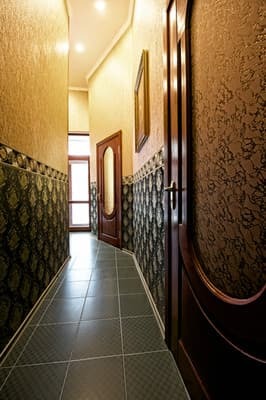 Refined and well combination of classical architecture and modern technolodies, the presence of all complex of providing srvices which meet the European standarts and fully satisfy the requestas of guests which come to the centre of Ukraine in business or rest and entertainment. 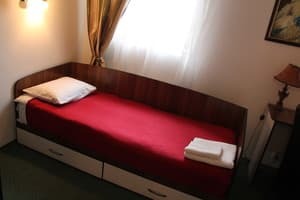 Description of the room: Economy room. In the room: Wi-Fi Internet, work desk, one-and-a-half beds. These types of rooms are designed for more economical settlement of groups of people. Shower room and toilet on the floor. It is also possible single-occupancy, cost 495 hryvnia, each subsequent customer +100 hryvnia. Description of the room: Amenities: air conditioning, LCD TV, desk, wardrobe, bathroom with shower, one queen-size bed. Description of the room: Facilities: air conditioning, LCD TV, desk, closet, bathroom with shower, two single beds. SETTLEMENT IN Single Room rates will be - 380 UAH. Description of the room: The rooms are furnished with a twin or king size bed with Italian soft-colored bedspreads. In the room: air conditioning, LCD TV, desk, wardrobe, bathroom with shower. The bathroom has all the necessary accessories and amenities, including a hairdryer, a cosmetic mirror, towels in the suite, a cosmetic set, etc. 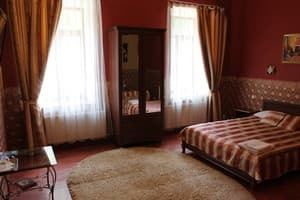 Description of the room: The rooms of the "Junior Suite" feature an increased area and are furnished with exquisite functional Italian furniture. The bathroom has all the necessary accessories and amenities, including a hairdryer, cosmetic mirror, towels in the suite, a cosmetic set, a bathrobe, slippers, etc. In the room: air conditioning, free Wi-Fi internet, satellite TV, LCD TV. The price for single accommodation is 920 UAH. 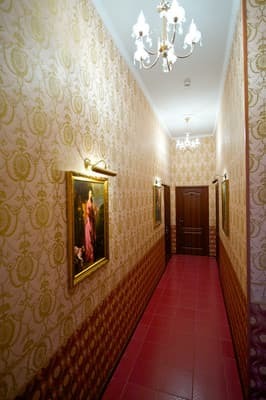 Description of the room: The rooms of the "Junior Suite" feature an increased area and are furnished with exquisite functional Italian furniture. The bathroom has all the necessary accessories and amenities, including a hairdryer, cosmetic mirror, towels in the suite, a cosmetic set, a bathrobe, slippers, etc. The rooms are furnished with two twin beds and a King Size type with Italian bedspreads of soft colors. At the request of the guests, single occupancy is possible. In the room: air conditioning, free Wi-Fi internet, satellite TV, LCD TV. Check arrival: from 14:00 - 06:00 hours. Check leaving: to 12:00 - 13:00 hours. The hotel has multi-man rooms. The price includes breakfast. Within a 5-minute walk from the hotel there are cafes, restaurants and bars where guests can eat. Guest Yard "Dvortsovy" is situated in one of the most comfortable corners of Kirovogard city in Kovalevky region, near Nicholaus I Palace. 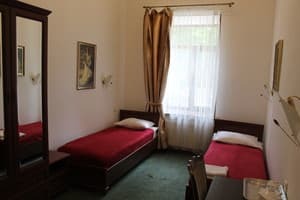 From any part of Kirovograd city you may order a transfer from the hotel. . Hotel is situated in front of the central Kovalevsky park.